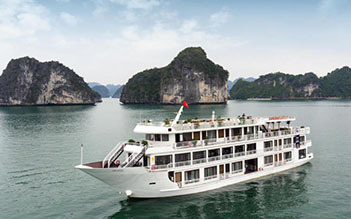 Alisa cruises combining two luxury cruises is one of the most gorgeous premium 5-star cruises line in Halong Bay. It includes Alisa cruise with 21 private suite cabins and Alisa Premier cruise with 22 private suite cabins. The beauty of the cruise is defined by words: luxurious, splendid, sparkling and charming. The construction of cruise is a complex of modern style with the stainless steel hull and traditional style with comfortable and royal furniture which completely made by high-grade wood. 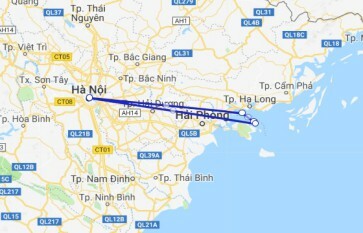 Having a cruise trip in Alisa cruises, you will have chances to experience the genuinely reliable and professional services more than expectation. 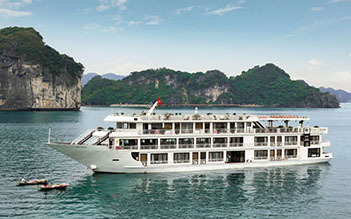 With the spacious, cozy and elegant accommodations, Alisa will bring the most memorable moments on Halong Bay for tourists.